Bo Xilai, the politician at the heart of China’s biggest political scandal in years, is the victim of a smear campaign, a source close to his family has said. The source, who did not want to be identified, said the allegations against Bo Xilai were “preposterous”. Bo Xilai was sacked from his job in charge of the city of Chongqing after his police chief fled to a US consulate, causing major embarrassment to Beijing. Since then a steady stream of damaging stories about Bo Xilai have emerged. Earlier this week it emerged that the British government had asked the Chinese authorities to re-open an investigation into the death of UK businessman Neil Heywood, a close friend of Bo Xilai. Unconfirmed media reports suggest Bo Xilai’s police chief, Wang Lijun, had information about Neil Heywood’s death. Bo Xilai, 62, was one of China’s top politicians, tipped for even higher office when the Chinese Communist Party carries out a once-in-a-decade leadership change later this year. Many thought he would be promoted to the Standing Committee of the party’s politburo, the nine-man body that runs China. Suave and sophisticated, Bo Xilai was popular in Chongqing where he was party secretary, the top job in the city. Bo Xilai also appeared to have support in the higher echelons of the Communist Party. Many national leaders visited Chongqing after he took charge there in 2007. But since his sacking that support has disappeared – and a series of accusations have been leveled against Bo Xilai. One suggested Chongqing police chief Wang Lijun fled to the US consulate because Bo Xilai reacted angrily when told of an investigation into his family. “That’s just preposterous,” said the Bo family contact. He said the relationship between Bo Xilai and Wang Lijun was “normal” just days before the policeman fled. “He was pledging his allegiance,” said the contact. He added that members of Bo Xilai’s family had worked hard to avoid the appearance that they were benefiting from the politician’s rise. Bo Xilai’s wife, Gu Kailai, apparently gave up her career as a high-flying lawyer a few years ago. “She shut down her law firm just when it was getting very big and exciting for her,” said the source. Bo Xilai had also been accused of praising the Cultural Revolution, a chaotic period from 1966-1976 when normal life was turned upside down. While in charge in Chongqing he launched a campaign to re-energize people’s enthusiasm for China’s communist past under Mao Zedong. Chinese Premier Wen Jiabao made a thinly veiled attack on Bo Xilai’s project at a press conference just the day before he was sacked. The source wanted to counter the impression among many that Bo Xilai was an ambitious politician who sought popularity to further his political goals. He said Bo Xilai acted only out of a “sense of duty”. “The problem with China’s government is that it’s strayed too far from the people. If you do things for people, others say you are being a populist,” he added. The source said Bo Xilai had nothing to do with the death of Neil Heywood, the British businessman who died in Chongqing in November 2011. There are rumors that Wang Lijun fled because he had details about a connection between Bo Xilai’s family and Neil Heywood. It has emerged that Wang Lijun first arranged a meeting at the UK consulate in Chongqing, but never turned up. Neil Heywood, who worked as a consultant in China, was a friend of Bo Xilai, but the family contact denied there were any business dealings between the two. Police say the 41-year-old died of excessive alcohol consumption – friends say he drank only occasionally. 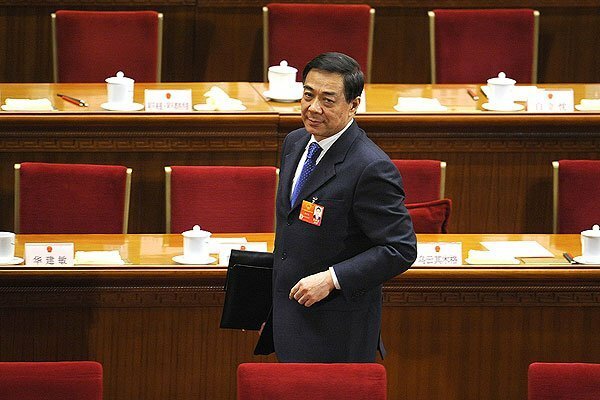 Bo Xilai has disappeared from public view since his sacking last month and it is unclear whether he is under investigation or still has his seat on the party’s 25-member politburo. But the damaging stories about him continue. Whatever the truth behind them, his downfall has caused a major stir within the Chinese political establishment. The claims and counter claims suggest there is a major battle between political rivals ahead of the leadership changeover.